Bicycle Racing on a Budget: Count down to the Nationals. A year's progress of a budget bike racer in the North East of England. Count down to the Nationals. First purchases of the year, chains and cassettes and tape and the like. I might as well get them now when I have the cash. I also got a bike workshop stand, quite cheap but with good reviews. I got it for Ewa to help her in the pits in cross races, but it may come in handy with an idea I've got. More about that later. There was a time in my youth when cassettes were called blocks had 6, 7 or maybe 8 sprockets and lasted a life time! I run Campagnolo gears and I was shocked to find out how short a cassette lasted on a winter bike. I put a new one on at the beginning of last winter about October, by December the chain was wrecked and needed replacing. The new chain just would not mesh with the worn sprockets so a new set were bought, now only a few 1000's miles along they are like sharks teeth!. I try to take care of the chain and cassettes with regular cleaning and de-greasing but the quality of the metal and the thickness, or lack of, material does not allow them to survive for long. I run 9 speed on my winter bike for longevity and race on 10 speed. These chains are even worse and I've snapped a few, even wrecking 4 links in a time trial last year, resulting in a walk up the hill and a pick up from a spectator. I still say it should not happen, chains should be bomb-proof, God knows what 11 speed are like! I run good chains either KHS or Campag's own, normally mid range, maybe I should invest in the top end ones, but at £40 or more, is it value for money? As I don't buy them, I'll never know. Next weekend it's the National Cyclo Cross championships at Derby, an event I've been planning for all winter. This will be my first individual championship for over 20 years, 1992 being the last one I rode. I'm competing in the veteran category now, which is very very competitive! 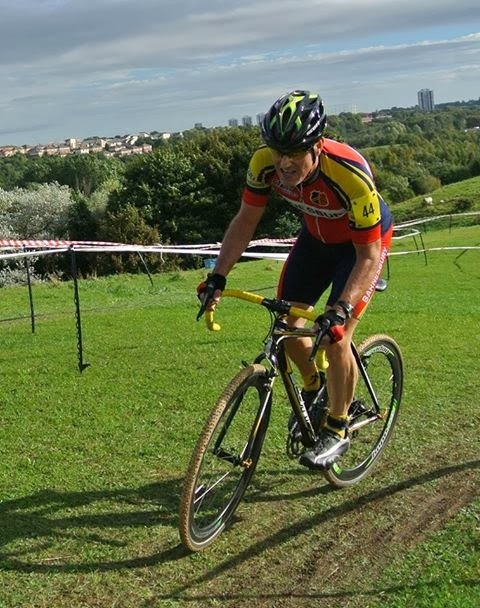 I rode (badly) a national trophy event at Durham back in November and finished 29th. I was shocked at the quality and ability that some of these 'old guys' can race! Some of them like Nick Craig, give the pro-elite riders a good run for their money! Nick, still a pro rider himself for Scott, won the vets race last year and then went on to finish 4th or 5th in the senior event! Quite astounding! So what am I expecting next weekend? To be honest I don't know, pain and heartache in equal measure is my usual reward. I've been training hard, but mostly on my own, which does not really help me along. My biggest handicap is my weight, at 76-77kg, I still about 10kg over my race weight. Now I know that that was 20 years ago and I've come down from 90kg just a few years back, but 10kg is a lot. As Ewa says in races, 'everyone in front of you is skinny, you look chunky'! Chunky and cross racing don't go together. Chunkiness! Taken at CXNE,Gateshead October 2013. My expectations are to try for a top 30 finish, if I get a good start - there's over 115 hopefuls riding and it's grided, so I'll be down the pecking order. To be honest I'm not too bothered because just getting to the Nationals and racing at this level was out of the question 2 years ago as I had 7 months out with a prolapsed disc and sciatica, which still troubles me now. 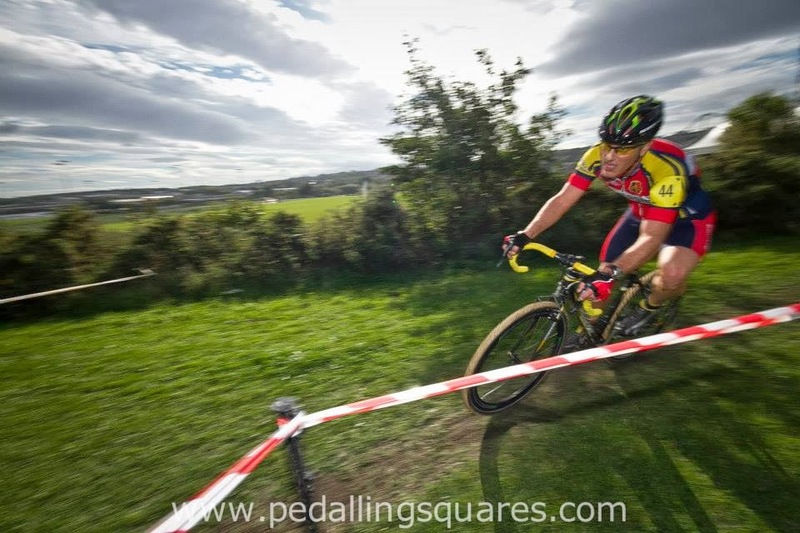 I have thoroughly enjoyed the journey this winter with cross racing and pleased with my progress. I've managed to drop 1kg over the Christmas hols, so perhaps if I'm good another 1/2kg may come off by the weekend? This week is going to be mainly speed work and intervals. I always thrive best on intervals, then an easy end to the week and travel down on Friday. There will be a whole crew of CXNE riders, family and helpers there so at least the atmosphere will be good! Wish me luck! I'm aiming to be the best lardy arse at the race! 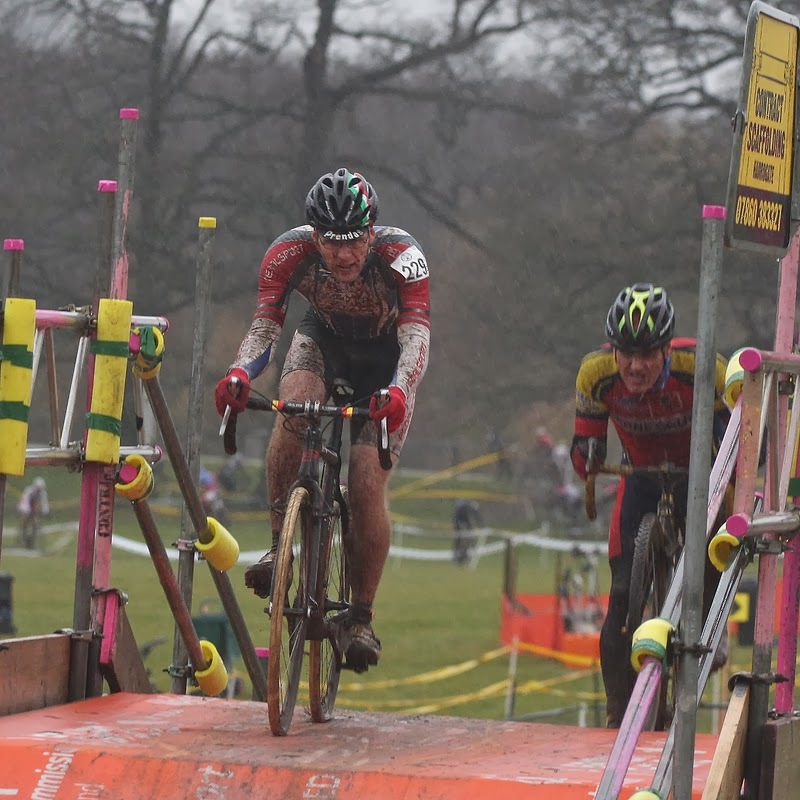 Another fine shot at the Ripley Cross in the rain (2nd). That bridge sagged when I got on! Photo Courtesy of Jo Allen.